Millions of hearts are on the mend thanks to the announcement that Prince Harry is officially off the market. On November 27, 2017, Harry's father Prince Charles announced via Clarence House that his son is engaged to girlfriend Meghan Markle and that the wedding will take place in Spring 2018. Following the announcement, the couple made their appearance as an engaged couple for the first time at Kensington Palace Gardens, where Harry told reporters that the proposal was romantic ("Of course it was") and that he knew Meghan was "the one" the moment they met. Is your heart bursting? Are you emotional from watching their gorgeous walk in the garden? Below, a list of things you need to know about Harry's future bride. See you at the wedding/royal wedding viewing party! Meghan ran a lifestyle website called The Tig. It covered all the necessary topics like food, travel, fashion, and beauty. She also had an "Influencers" category, which most recently featured Priyanka Chopra, 16-year-old Black-ish star Yara Shahidi, and Serena Williams. In April 2017, Meghan announced the end of The Tig after nearly three years: "What began as a passion project (my little engine that could) evolved into an amazing community of inspiration, support, fun, and frivolity. You've made my days brighter and filled this experience with so much joy. Keep finding those Tig moments of discovery, keep laughing and taking risks, and keep being 'the change you wish to see in the world,'" she wrote. She loves animals and is an advocate of adopting. Here are her two "loves" Bogart and Guy. 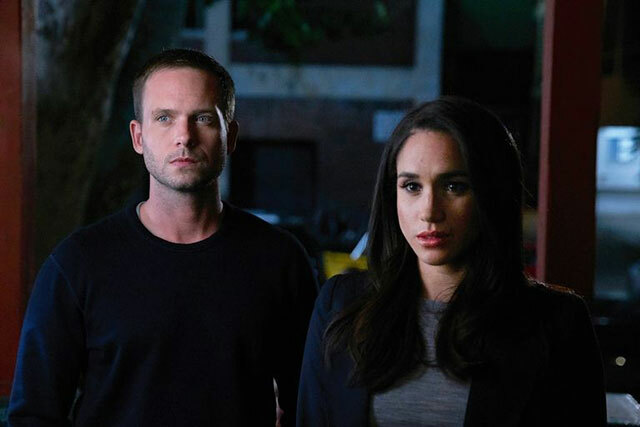 Meghan's been playing Rachel Zane on Suits since 2011. One of her first TV roles was in General Hospital. Meghan played someone named Jill for one episode in 2002. From there, she moved to reality TV. She appeared in more than 30 episodes of Deal or No Deal as "Briefcase Model #24" from 2006 to 2007. She's appeared in a movie opposite Robert Pattinson. Remember Remember Me, one of the first non-Twilight films RPattz made during the Twilight phase? Meghan played someone named Megan. Meghan's love for food is so important that her Suits character, Rachel Zane, is also a huge foodie. In 2012, she offered some healthy food ideas to Today. My favorite: "A beautiful glass of wine" because it requires "no recipe or hippie dippie ingredients." She's really good at calligraphy. As Meghan revealed in a Good Housekeeping interview in 2016, "I used to be a calligrapher for weddings and events—that was my side job while I was auditioning." Here she is doing some calligraphy during an interview with Larry King. She interned at the U.S. Embassy in Buenos Aires in her senior year of college. Meghan, who double-majored in theater and international relations at Northwestern, became the first in her family to graduate from college. Of her time in Argentina, Meghan told Marie Claire in 2013 that she was "in a motorcade, doing that whole thing…I thought for sure I would still have a career in politics." Like Harry, Meghan has done a lot of humanitarian work. In 2016, she became the Global Ambassador for World Vision Canada and traveled to Rwanda for the Clean Water Campaign. She's also appeared at the UN Headquarters for the HeForShe campaign and traveled to Afghanistan on a USO tour. She recently blogged about her humanitarian work on The Tig, writing, "I've never wanted to be a lady who lunches—I've always wanted to be a woman who works. And this type of work is what feeds my soul, and fuels my purpose." Meghan comes from a showbiz family. Her father, a TV lighting director, worked on shows like Married…With Children. "And there I was, behind the scenes of a glossy soap opera and a TV sitcom, surrounded by famous actors and their glam teams, multi-million dollar budgets, and crew lunches that always included filet mignon and enough sweets to make you think you were at Willy Wonka's Chocolate Factory," she wrote in a recent blog post. Her mother Doria Ragland has called Meghan "Flower" since childhood, as revealed in her Vanity Fair cover story. Meghan and film producer Trevor Engelson tied the knot in September 2011. They divorced in 2013. 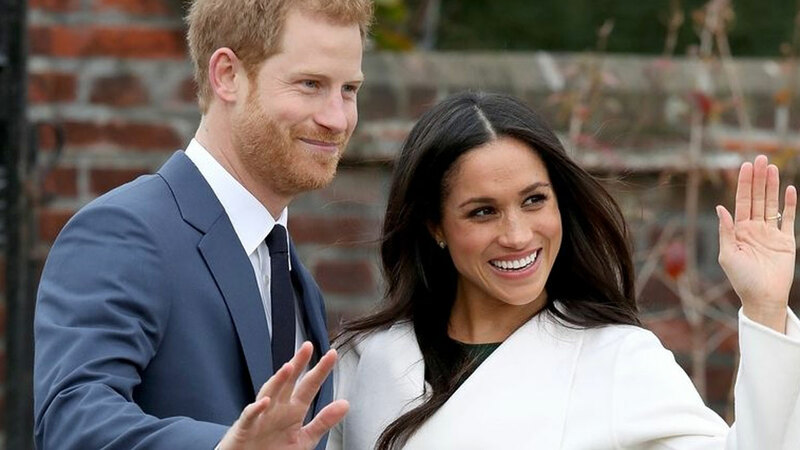 Meghan's official royal title following her wedding to Harry will likely be the Duchess of Sussex (to match Harry's Duke of Sussex). As The Telegraph reports, while Meghan will informally be called Princess Meghan (just like Princess Kate), Royal protocol will forbid any official recognition of the princess title.